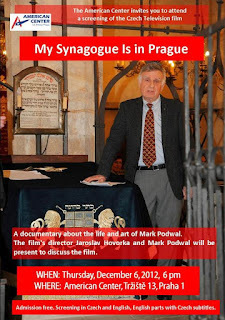 Jewish Art Salon: Mark Podwal's documentary "My Synagogue is in Prague"
Mark Podwal's documentary "My Synagogue is in Prague"
A Czech television documentary about the life and art of Mark Podwal will be shown by the American Center in Prague. December 6, 2012, 6 pm. 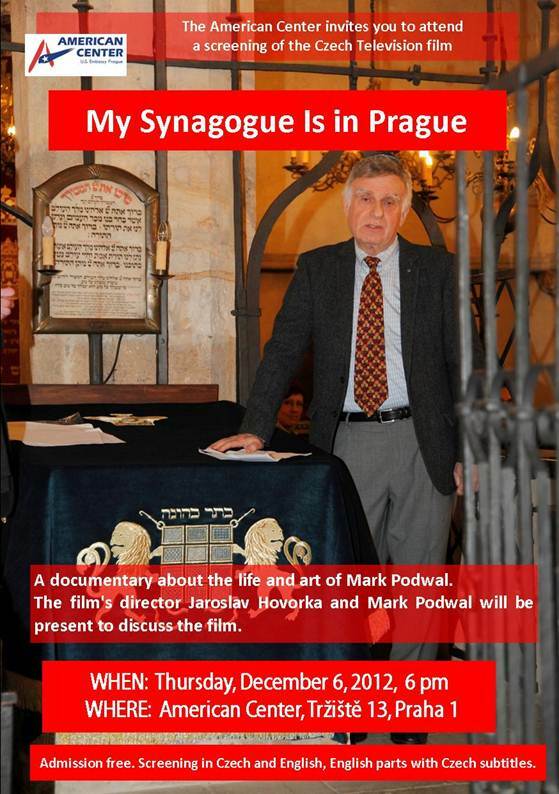 The artist and the film's director will be present to discuss the film.